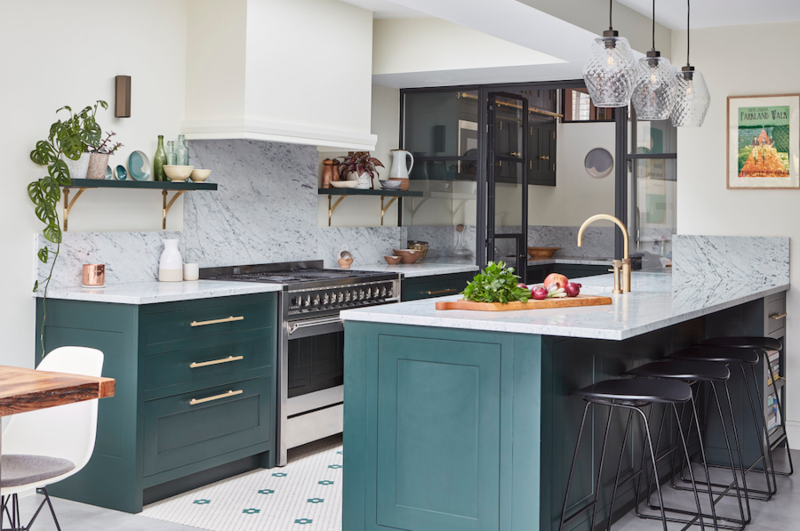 From darker cabinetry to open shelving and statement flooring, take a look at the top kitchen trends for 2019. 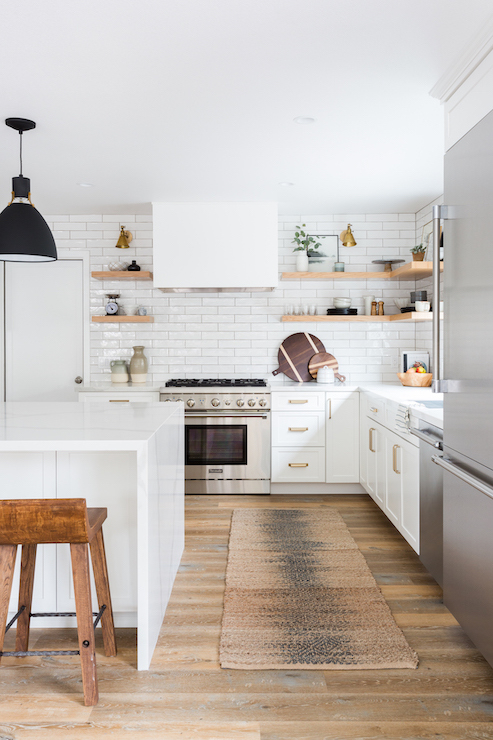 The days when an all-white kitchen satisfied all our design needs are well gone! And it’s no surprise since the kitchen has become the heart of our home. But getting started on a kitchen renovation is definitely not an easy task. From selecting the best materials and finishes – to coming up with the perfect layout – all while making sure it all suits your space, your lifestyle and your budget can be quite a challenging experience. 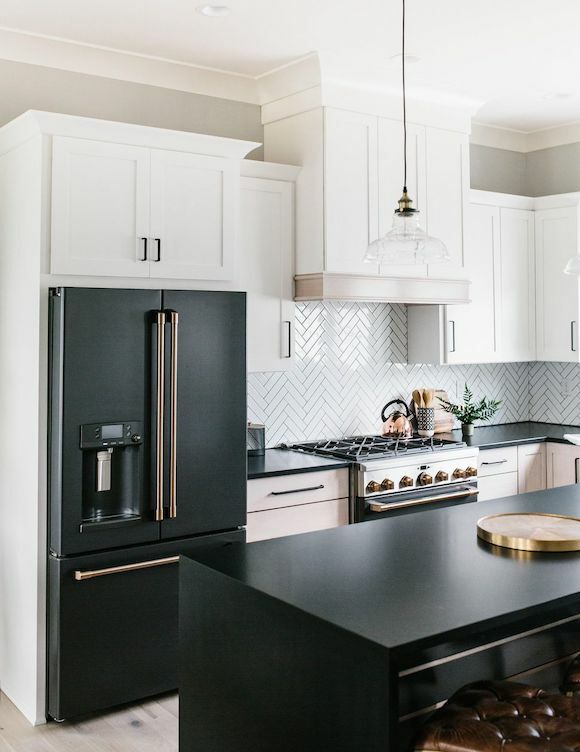 So whether you’re planning a full kitchen remodel or simply looking for some design ideas for a quick kitchen refresh, Milray Park Designer Jessica Franklin reveals the biggest kitchen trends for the year to help you get inspired. Expect to see more raw materials in the kitchen this year. Concrete, reclaimed oak, natural timbers and brushed metals make a bold statement whilst bringing warmth to any kitchen and allowing for a ‘lived in’ feel. These raw materials give kitchens a timeless quality that only gets better with age as the materials become wear in. We have already seen a lot of concrete in the last couple of years, but this design trend is here to stay. Its value for money, durability and versatility still makes it a popular material choice when designing a kitchen. 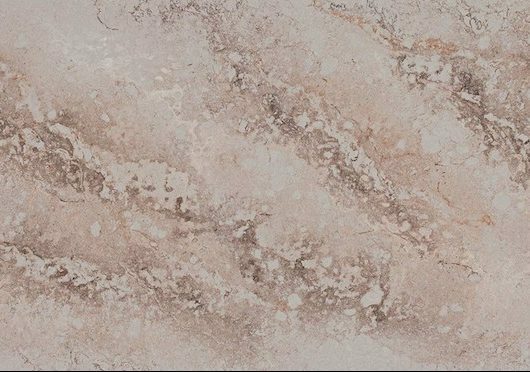 I personally love the colour ‘Excava’ from the new Caesarstone Metropolitan collection, which mixes the authentic features of rust and concrete. 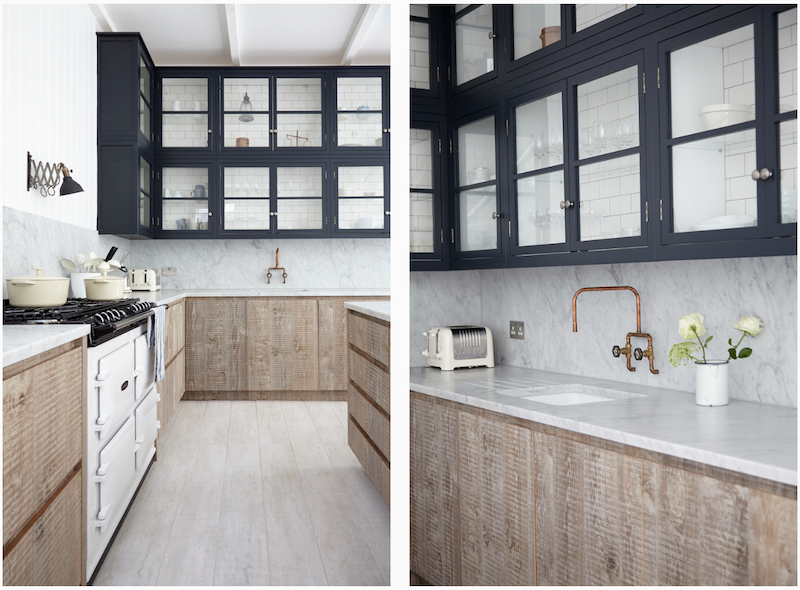 Whilst all white kitchens will never be ‘out’, what will definitely be ‘in’ this year is darker cabinetry. 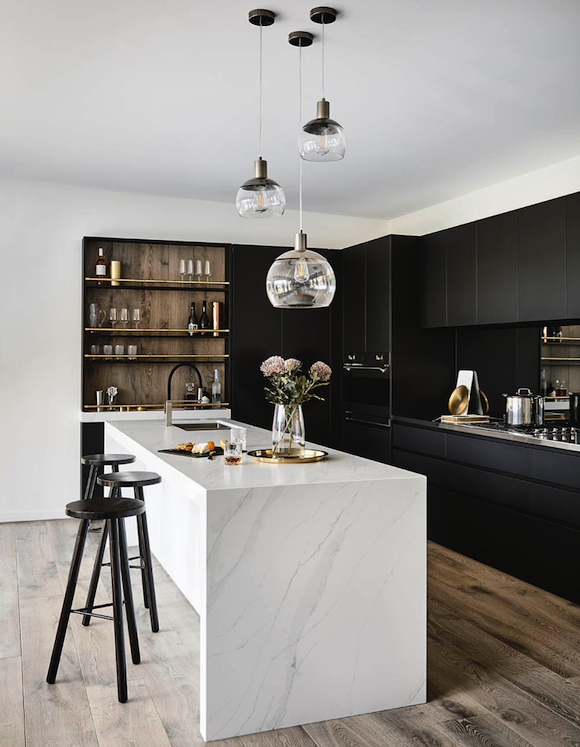 Not only does it bring depth to kitchens providing a warm atmosphere, it also packs a bold statement and will give any kitchen the ‘wow’ factor. Hunter Green and Black seem to be popular choices so far. 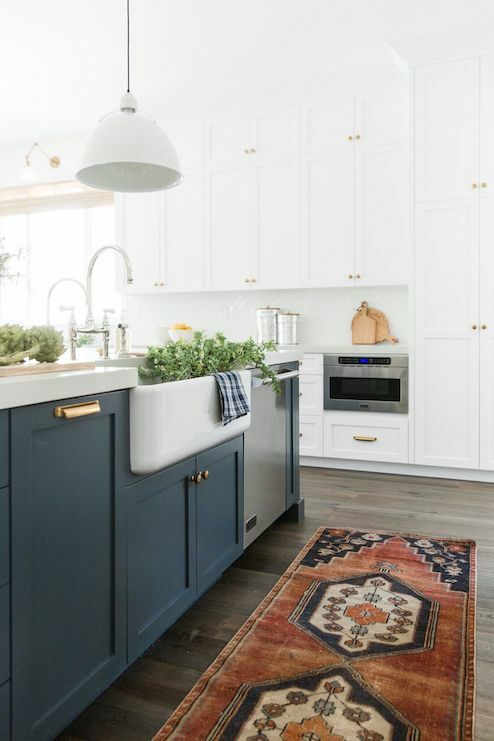 This break away from white and neutral cabinetry is refreshing and shows that people are willing to step away from the mould and add a little bit of their personality into their kitchen. From a practicality point of view- darker cabinets sure do hide any specks of dirt or sticky fingers much easier too! 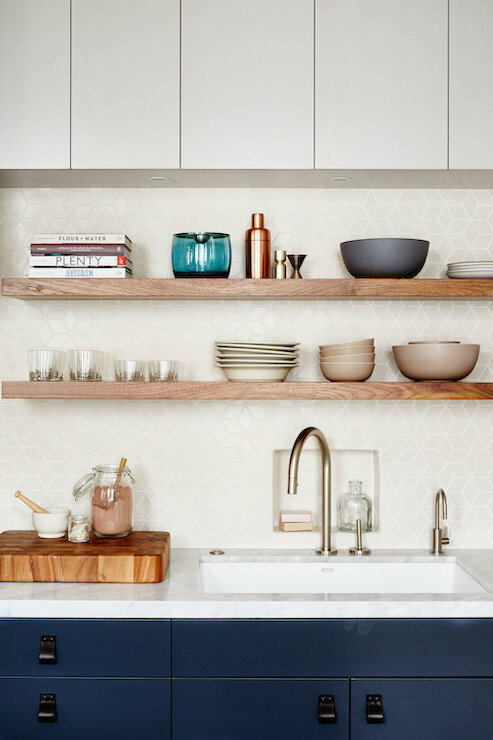 Taking a shift away from the minimalist kitchen where everything is concealed and out of sight – this current trend of open shelving in kitchens will continue to dominate throughout 2019. 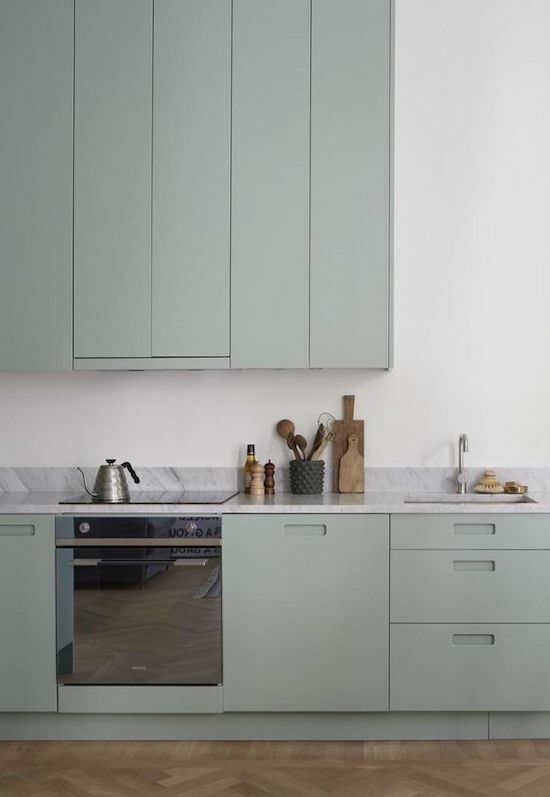 Upper cabinetry has been done for decades now, so this is a really refreshing trend to see. 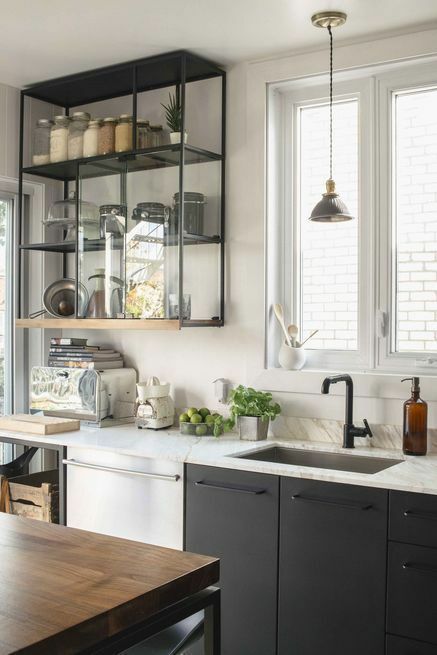 Open shelving can make the darkest and dingiest of kitchens seem open and airy, by visually allowing your eye to fall to the wall beyond the shelf. One of the more popular materials featured, will be metal shelving – which conveys an industrial feel. 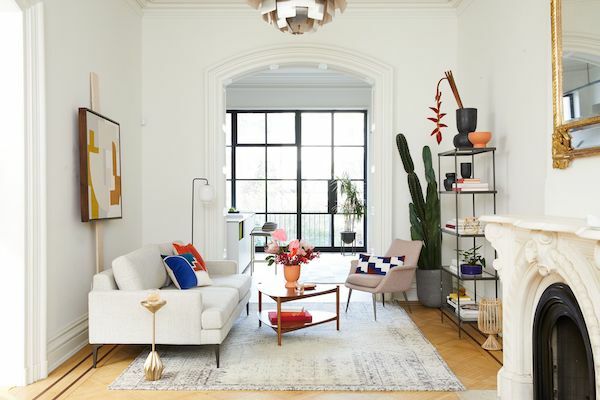 An obvious consideration for this trend is to remember that anything on the shelf will be seen… so you’d better make sure it looks pretty 24/7! 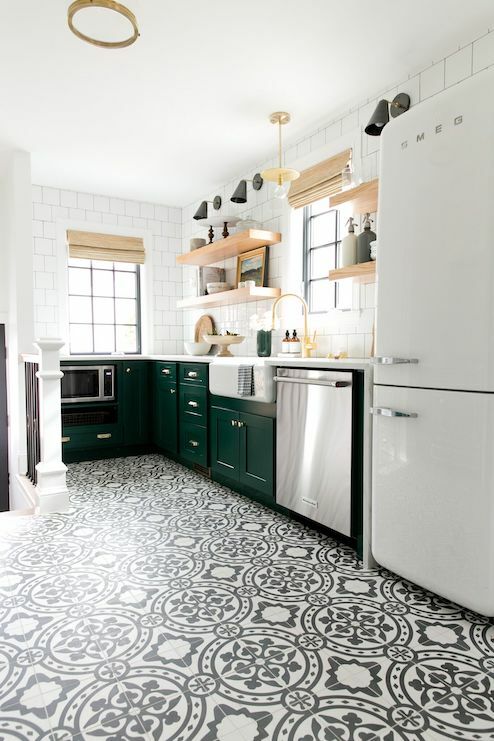 An easy way to achieve a statement floor in your kitchen is to choose a tile you love, and have it installed across your whole kitchen floor. This is a big design decision to make, and could possibly lead to regret within a few years. Alternatively, you could absolutely love it for years, and your kitchen could be the talk of the neighbourhood! 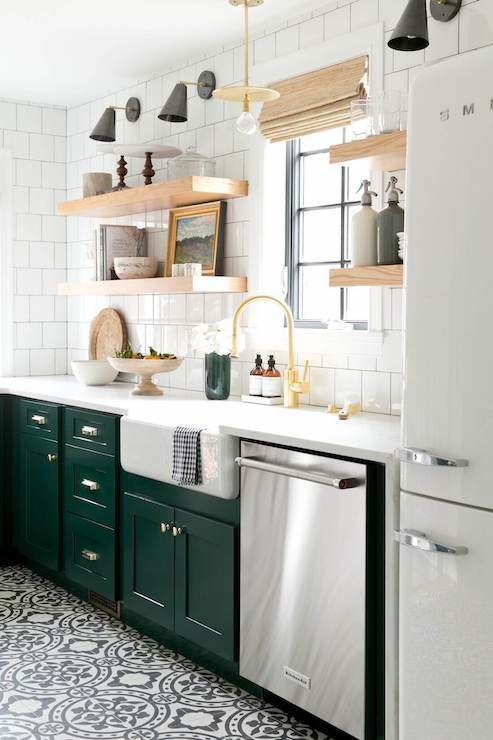 A more subtle way to dive into this trend is to pick a simple tile, or timber, and lay it differently. Have fun with it. Speak to your kitchen designer and ask them for some ideas that sit outside the box. It’s such a simple thing to do, but it can have a huge impact on the overall feel of your kitchen. Still not brave enough? 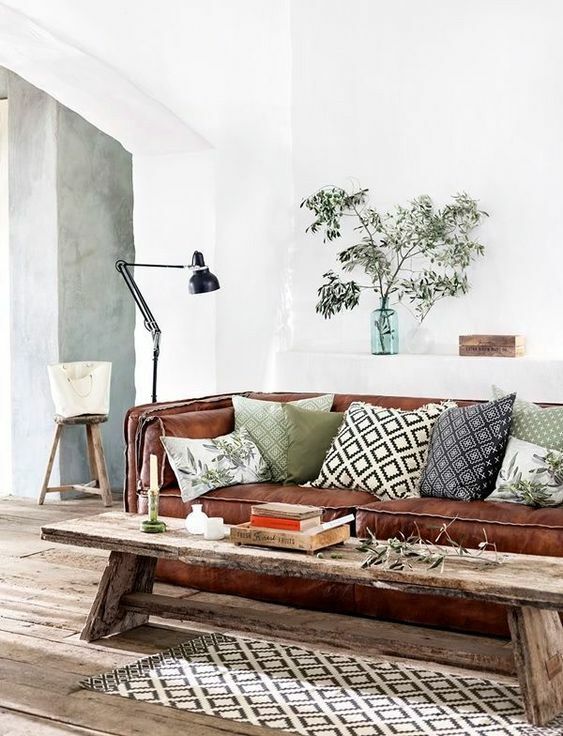 Go for a more traditional floor design and material, but accessorise with a beautifully patterned rug over the top! 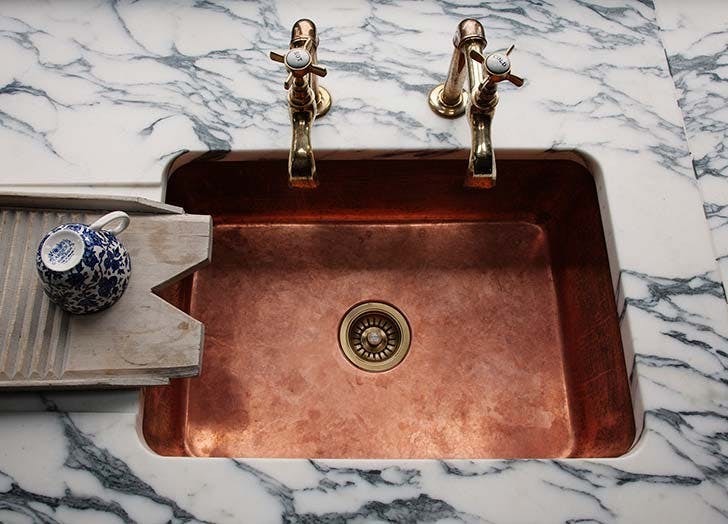 Many people are afraid to mix metals, thinking that absolutely everything has to match. 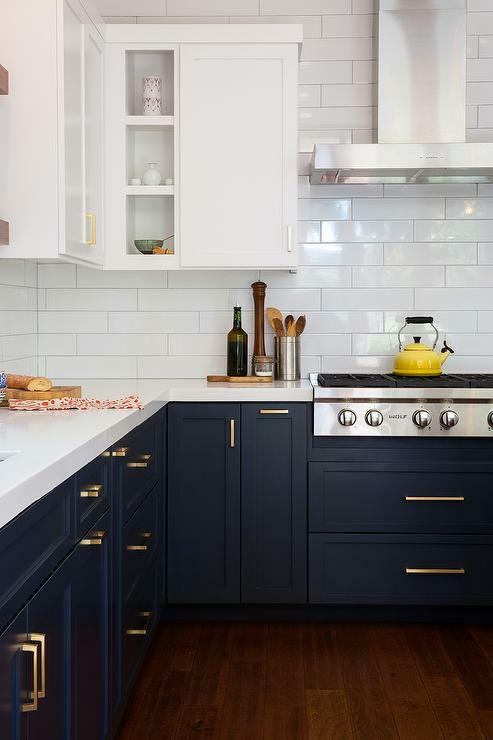 That’s simply not the case, so much so, that this year will see a huge push for the mixing of metals, particularly within kitchens. Warmer metals, such as brass, nickel, gold and copper, can really stand out when mixed with cooler metals such as silver and chrome. The only rule here is not to go overboard. Choose one dominant metal, and then pick another one or two accent metals. This is a trend that will pop up in different ways throughout 2019. 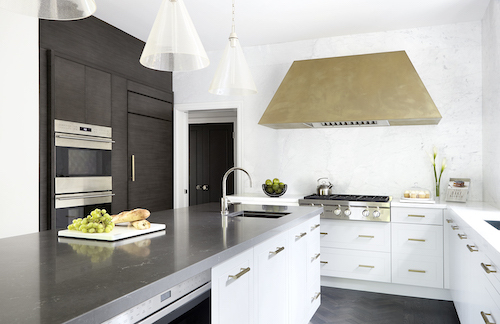 From matte appliances to fixtures and fittings to kitchen cabinetry. 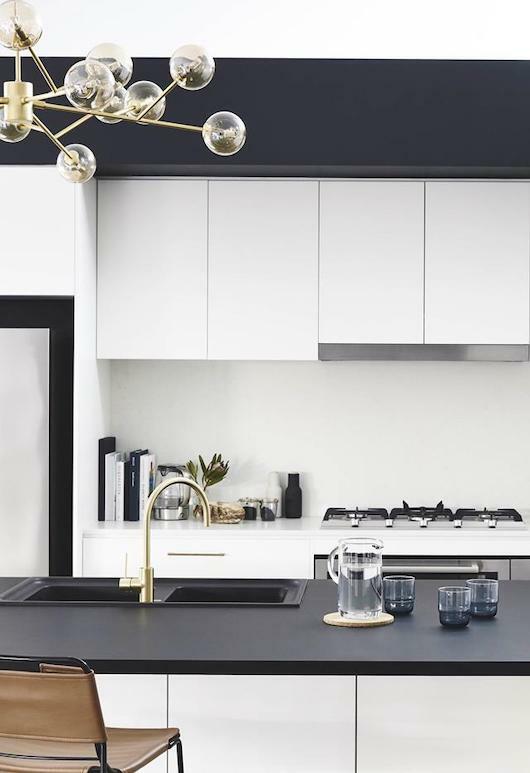 Slick and clean, matte finishes bring a contemporary element to kitchens, and thanks to its cool track record, it’s sure to stay on trend for many years to come. When used in kitchens with lot of gloss already, it can add a great textural difference and bring balance to the space. Another popular benefit of using matte finishes in your kitchen is that it’s much easier to keep clean, hiding finger marks with ease. 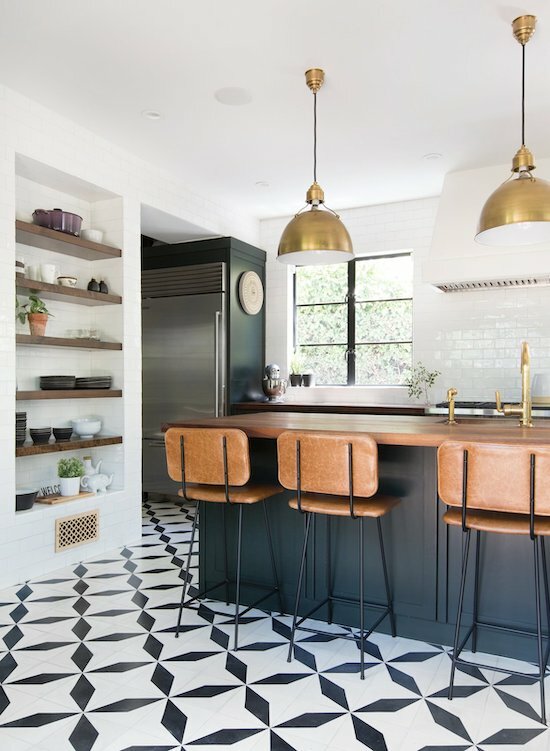 Check out our Pinterest board for more kitchen design ideas.